Here’s a great deal on a large 4k HDR TV you should know about. Amazon is selling the LG 65″ (65UK6300) for only $796.99 — that’s a savings of $400 off the list price of $1,199! 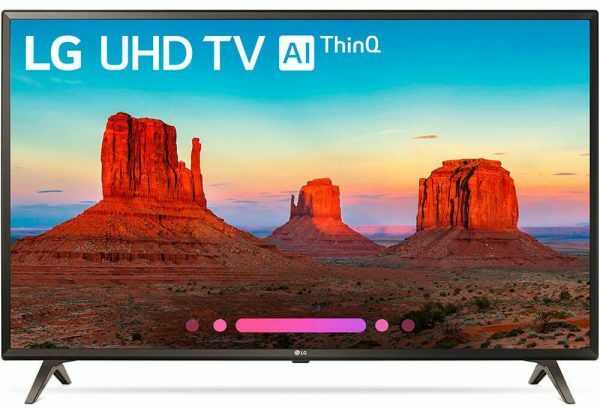 The 2018-model 4k TV features HDR & HLG support, IPS (in-plane switching) technology for wide viewing angles, and Smart TV functionality with ThinQ AI (compatible with Amazon Alexa). The TV receives 4/5 stars from 85 customer reviews. Head over to Amazon to grab one at this low price and get free shipping.